In April 1941, during WW2, St.James's was badly bombed. Dunhill, on the corner of Jermyn St, a few yards from Budd, took a direct hit. 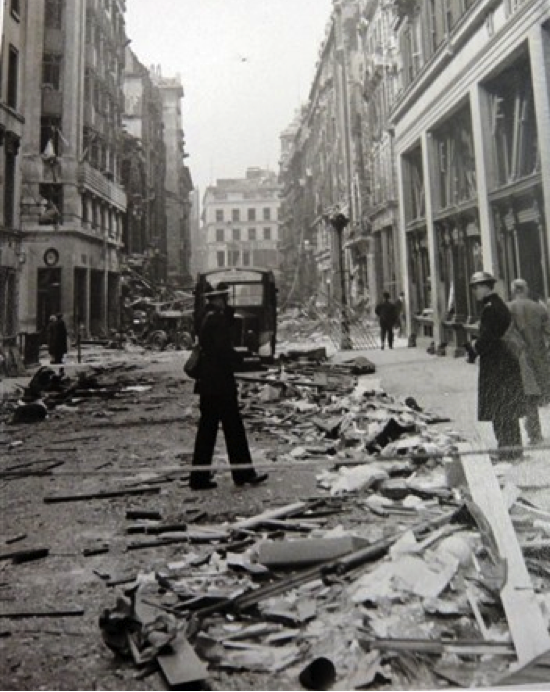 Then at 3 am on 17 April, the Luftwaffe dropped a 2200lb parachute bomb which detonated at rooftop height .The Piccadilly Arcade was devastated and Budd's shop at No 4 burnt down. However, the spirit of the London Blitz was alive and well. Mr Dunhill continued to sell his exclusive merchandise from a wheelbarrow on Jermyn St and Harold Budd immediately bought the leases on the only two habitable shops left standing in the arcade. 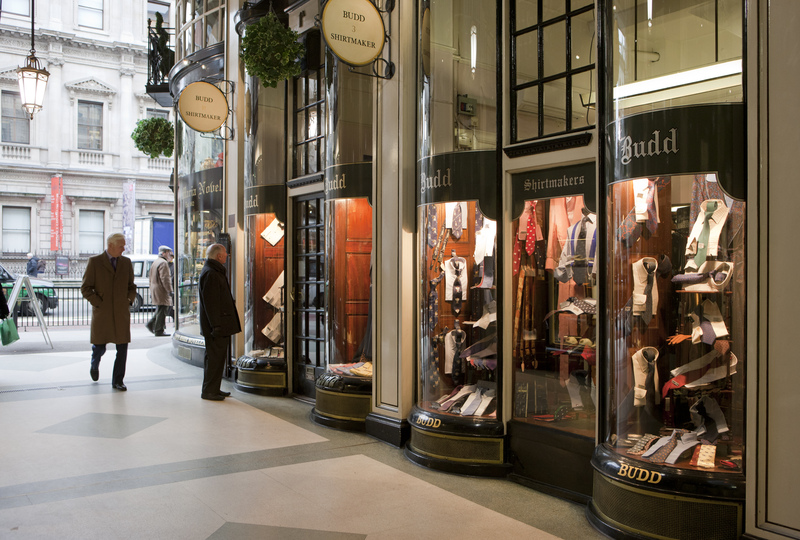 Budd moved to Numbers 1A and 3 Piccadilly Arcade where it has been ever since. The re-building of the Arcade after the bombing was not completed until 1957. However, because of this wartime disaster, Harold Budd was forced to reinvent his business. Commercial realities forced the move away from exclusively bespoke to include ready to wear. This was the beginning of Budd the haberdashers we know today selling not only shirts and ties but a whole range of accessories for a gentleman's wardrobe. Today Budd is owned by a handful of it's most loyal customers who remain dedicated to preserving it's English heritage, craftsmanship and individuality.